In 1924, Celestine and Mary A. Rillo, who had immigrated in the early 1900’s from the Northern Central region of Italy, built their home at 2200 Graham Avenue. The Rillo’s lived on the second floor and operated a general store and meat market on the first floor. 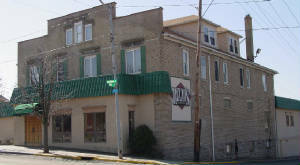 In 1937, the Rillo’s decided to open a restaurant at the location. At that time, Windber was a coal mining center of activity where Rillo’s “Fairway Café” enjoyed a successful start. Our industrious Grandma Rillo was in charge of the kitchen where tasteful and authentic Italian foods were prepared from old world recipes. In 1965, the restaurant was passed on to her daughter Mildred and her husband Anthony Rizzo. 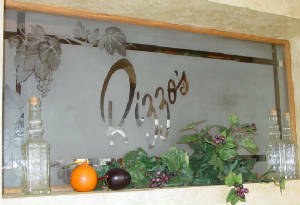 In the years that followed, “Rizzo’s” established itself as a regional favorite. After Mr. Rizzo’s passing in 1983, Millie and her children, Dominick, Marie, and David, and David’s wife, Norma, continued the family business. David Rizzo oversaw a series of expansions of the restaurant to its current size and developed the fine service that Rizzo’s is known for. David passed away in June 2001. Following David’s passing, Marie’s son, Dominick returned home to help with the everyday operation of Rizzo’s. Reservations can not be accepted by e-mail.